ProReServ GmbH is a highly experienced service provider to the retail market. It was established in 1999 as an independent company by Retail Service GmbH, a wholly-owned subsidiary of boeder Deutschland GmbH. 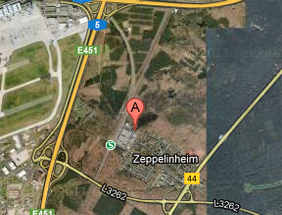 The head office is in Neu-Isenburg/Zeppelinheim, while its logistics centre is located in Gelsenkirchen. Following the foundation in 1999 – offices of ProReServ GmbH were opened between 1999 and 2001. A branch office was opened in Switzerland and contact offices in Austria, Belgium and the Netherlands. Overall ProReServ employees – around 160 permanent staff and 250 support personnel throughout Europe. The successful retail-service concept is being developed on a continuous base, refined and adapted to meet any market situation. With this integrated package, ProReServ is recognized a key link between manufacturers, distributors and retailers. The standard of the services provided by ProReServ is ensured by quality-service process controls, which are adapted to meet any market situation. For example, an extremely efficient IT system based on SAP© R/3© ECC 6.0 provides the highest standards of interfaces, information, reporting and analyses. ProReServ has been DIN EN 9001 certified since 2004, evidence for our business partners in general that our quality management system must attain the highest standards. Our simple aim is to make sure that the end consumer is satisfied, which ensures that our partners are satisfied.